It has been super dry in Whistler and when we arrived the smoke from forest fires was pretty bad. Thankfully it cleared out for the first event, the Enduro World Series. Next event was the Garbanzo Downhill. Tracey and Alex took part of this super gnarly 3400 foot-to-bottom 12 minutes downhill race. It was Alex’s first time racing this event and he for sure will tell you it was super physical! He finished 15th. Tracey had been dreaming of taking the win of Garbo for a long time and being in such great shape, she was able to claim the 1st place by 10.98 secondes! 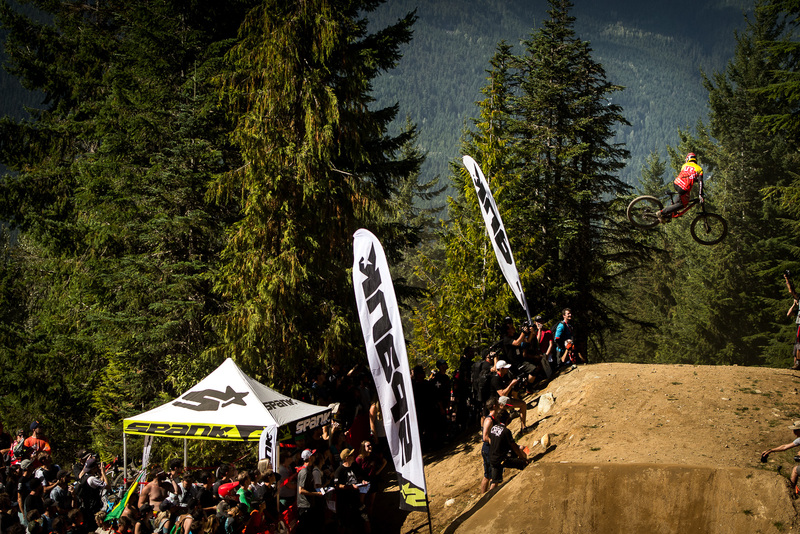 The Air Downhill has been the primordial heart of Crankworx. 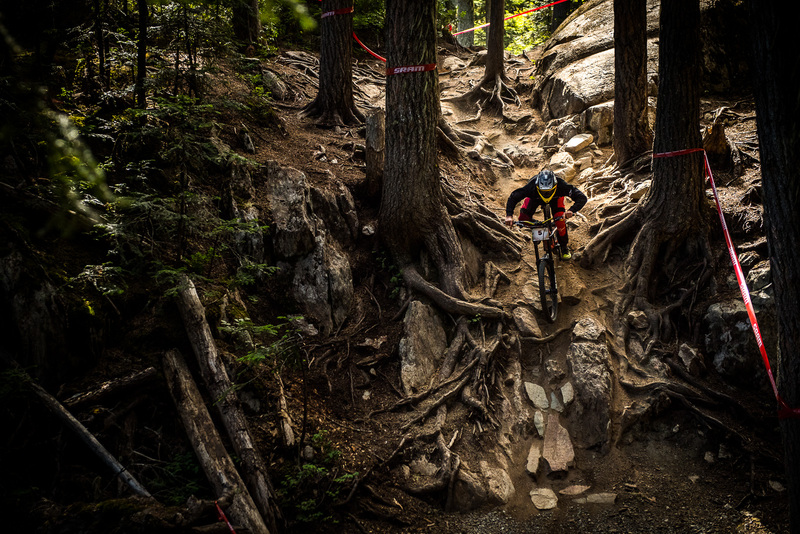 Held on Whistler‘s most iconic trail: A-Line, it is for sure our riders favorite track. Racing on it though is a different story as it is closer to a 3 minutes sprint than a fun flowy trail. With the dry condition this year, the trail was blown out. As it was Kenta’s first time in Whistler, he had to take part of this event. He finishes 25th, Fabien 29th and Tracey once more on the podium, this time on the second step. 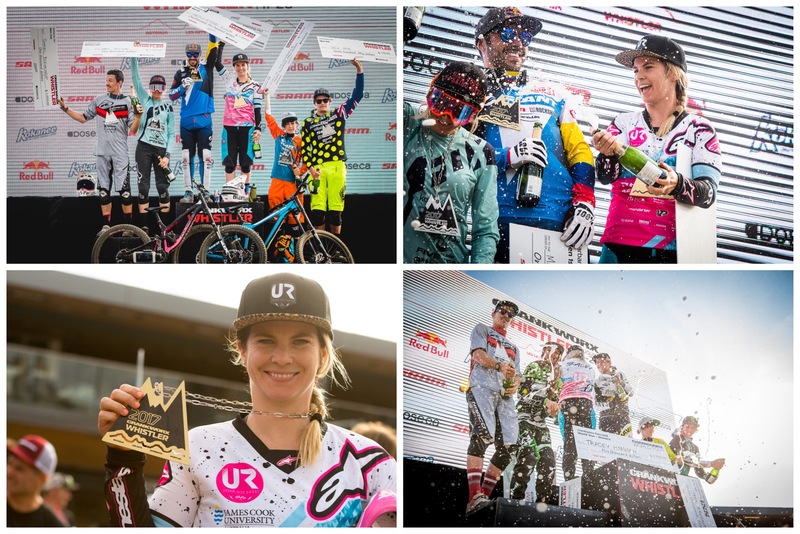 Sam Reynolds and Alexandre Fayolle threw their biggest whips at the Spank Whip Off Champs, event that draws the biggest crowd of the week! 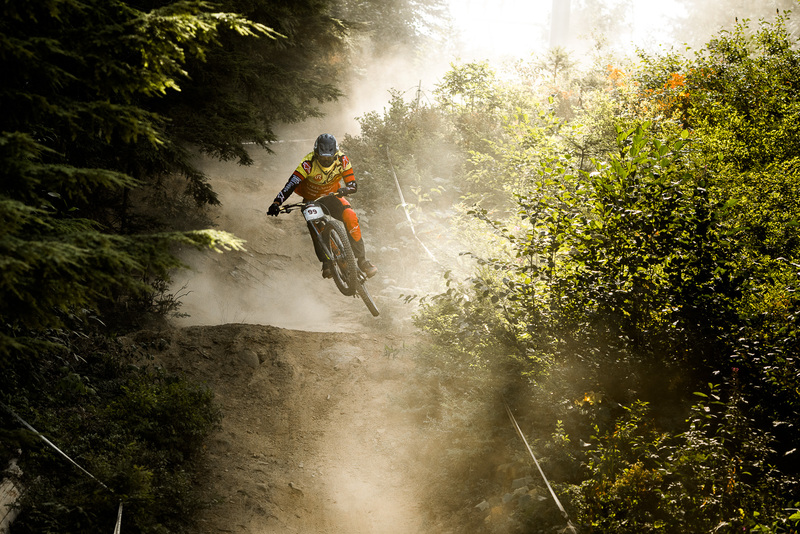 The last event for us was the Canadian Open Downhill. The super rooty single-track was so dry this year. A cloud of dust could be seen behind all the riders. 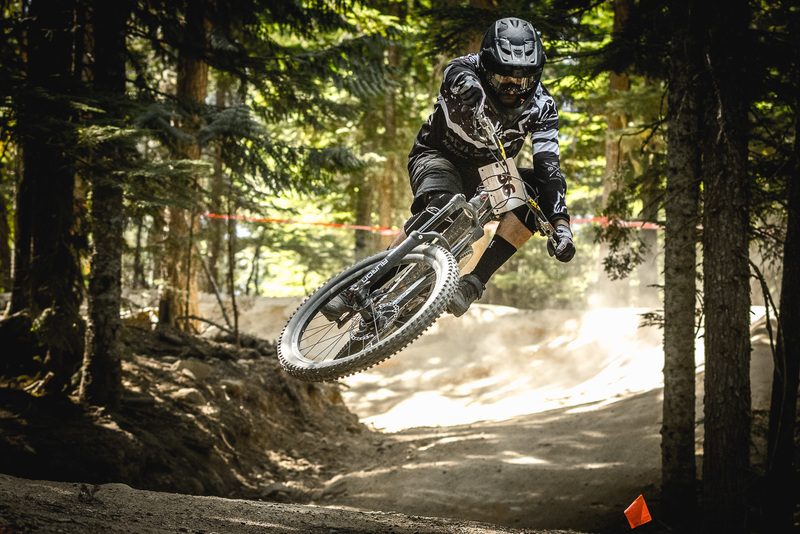 Alex and Kenta had safe runs thinking of Val di Sole and finished 15th and 19th. Tracey on the other hand was focused and riding so hard, we knew she had the speed to win but what we didn’t know is that she would do it with a 10.62 second margin! 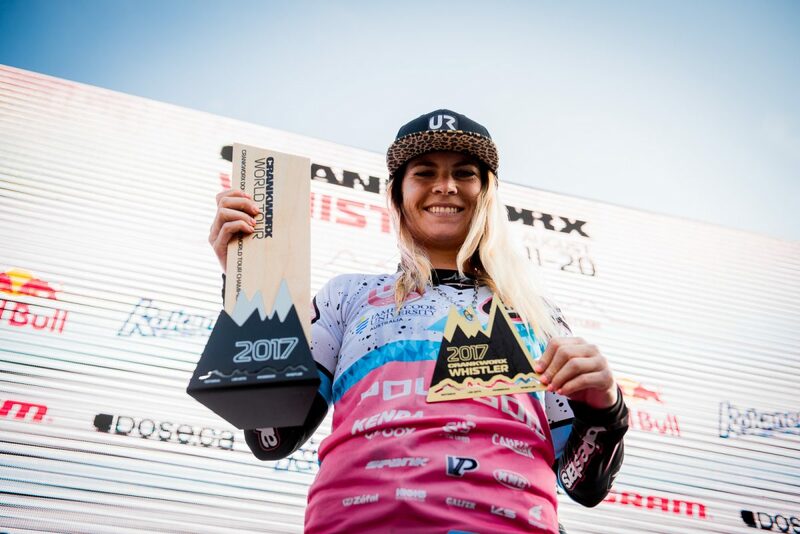 Tracey had an amazing year at all Crankworx events, she takes the Crankworx Downhill World Tour Champion title! Fabien has been a bit quiet on the racing side because he has been busy shooting a TV documentary and a web series. We hope to send you the trailers soon. Mick came to Whistler a couple days before he flew home to Australia to be in the good timezone and prepare for World Champs. As for us, we are all packed and flying to Italy right now. 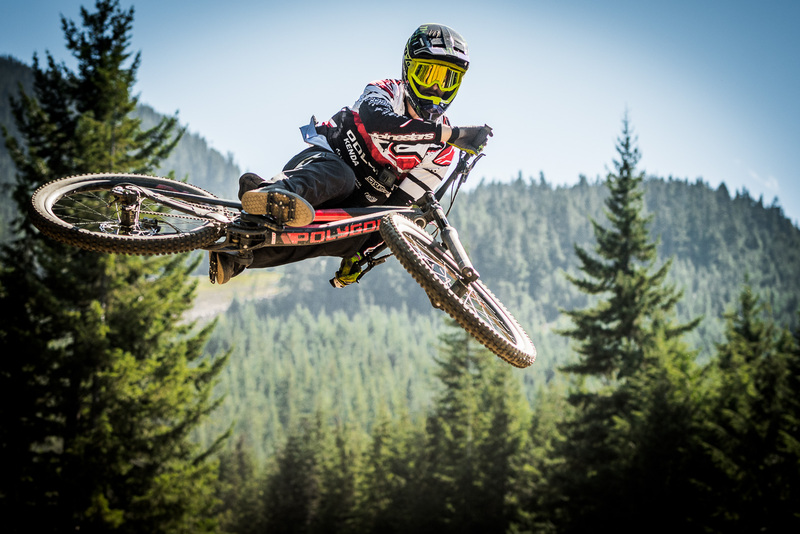 The last round of the UCI world cup is coming and we are super excited!